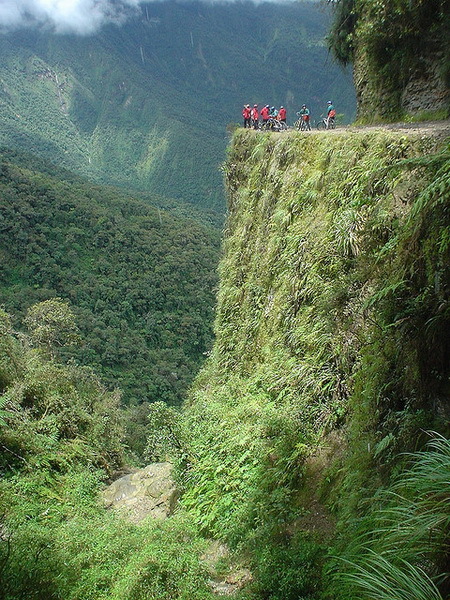 The North Yungas Road is a 61 to 69 km road leading from La Paz to Coroico (Bolivia's capital, to the Amazon region) in the Yungas region of Bolivia. 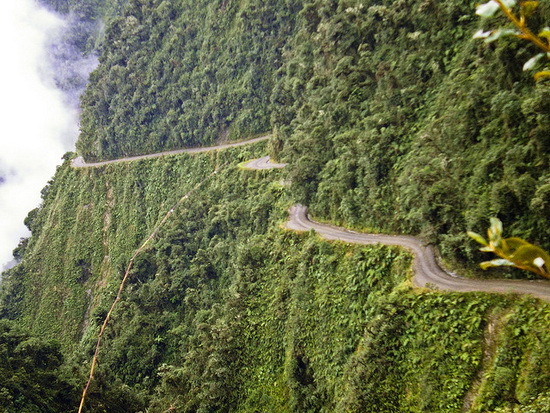 It is legendary for its extreme danger: in 1995 the Inter-American Development Bank christened it as the "world's most dangerous road". The road includes crosses marking many of the spots where vehicles have fallen. 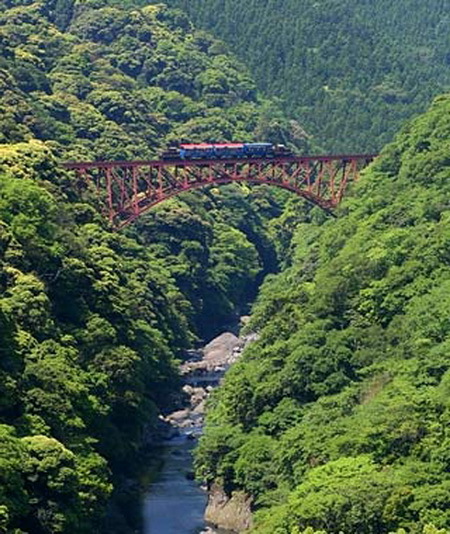 Minami Aso Railways. The soaring (and occasionally smoking) peak of Mount Aso—Japan’s most active volcano—looms beside the track of this route through the southerly region of Kumamoto. Primarily a sightseeing ride for spring and summer visitors, the journey is even more arresting in early November, when the mountain’s forested foothills are ablaze in magma-hot colors. Minami Aso runs with just three cars, each carrying up to 133 passengers. If it gets cramped, detach one of the windows—fresh air does a body good at any earthly altitude. 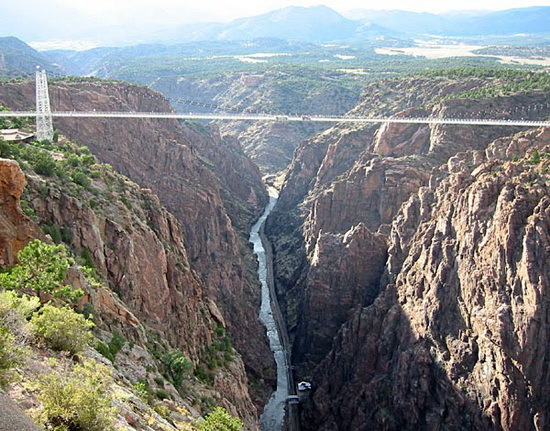 The Royal Gorge Bridge is a tourist attraction near Cañon City, Colorado, within a 360-acre (150 ha) theme park. The bridge deck hangs 955 feet (291 m) above the Arkansas River, and held the record of highest bridge in the world from 1929 until 2003, when it was surpassed by the Beipanjiang River 2003 Bridge in China. It is a suspension bridge with a main span of 938 feet (286 m). 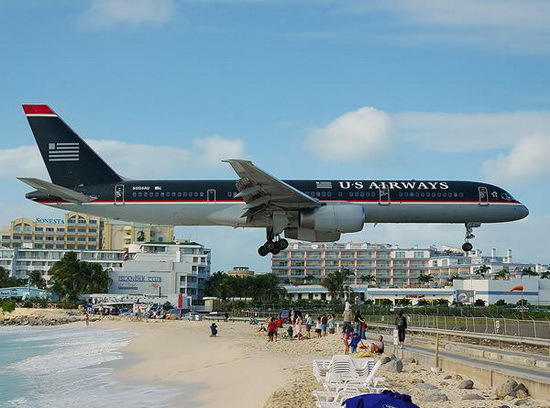 The bridge is 1,260 feet (384 m) long and 18 feet (5.5 m) wide, with a wooden walkway with 1292 planks. The bridge is suspended from towers that are 150 feet (46 m) high. Hussaini Hanging Bridge. 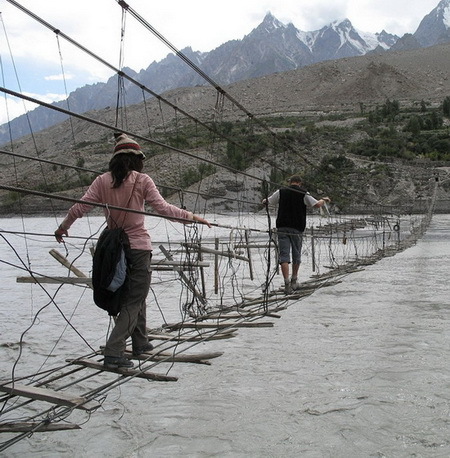 Massive gaps between the planks, a wild side-to-side swing: there are reasons this is considered one of the world’s most harrowing suspension bridges. 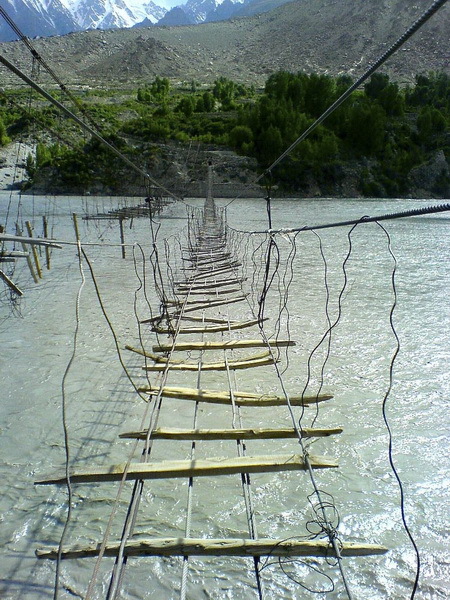 While rickety cable and wood bridges are common in this area, crossing this bridge over the rapidly flowing Hunza River is particularly frightening, as the tattered remains of the previous bridge hang by threads next to the one currently in use. Floodwaters reportedly submerged the bridge in May 2010. However, due to its draw as a popular adventure-travel activity, the bridge is likely to be rebuilt. The Guoliang Tunnel is carved along the side of and through a mountain in China. The tunnel is located in the Taihang Mountains which are situated in the Henan Province of China. Before the tunnel was constructed, access to the nearby Guoliang village was limited to a difficult path carved into the mountainside. The village is nestled in a valley surrounded by towering mountains cut off from civilization. 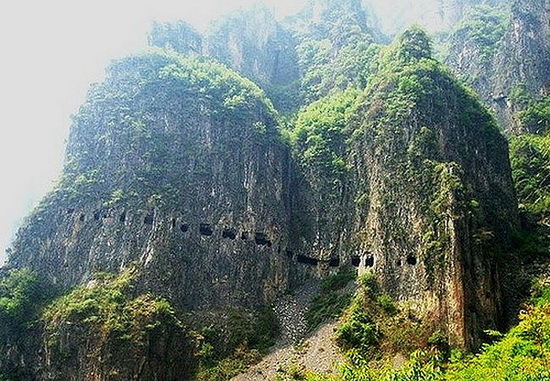 In 1972 a group of villagers led by Shen Mingxin decided to carve a road into the side of the mountain. They raised money to purchase hammers and steel tools. Thirteen villagers began the project. The tunnel is 1.2 kilometres (0.75 mi) long, 5 metres (16 ft) tall and 4 metres (13 ft) wide. On 1 May 1977 the tunnel was opened to traffic. - If you have ever seen or been on some traffic routes that are more terrible than these (in your opinion), let us know and we’ll add it to the post.